This is the part 2 of my story that I had talked about earlier in my post “Makli – The largest Necropolis”. 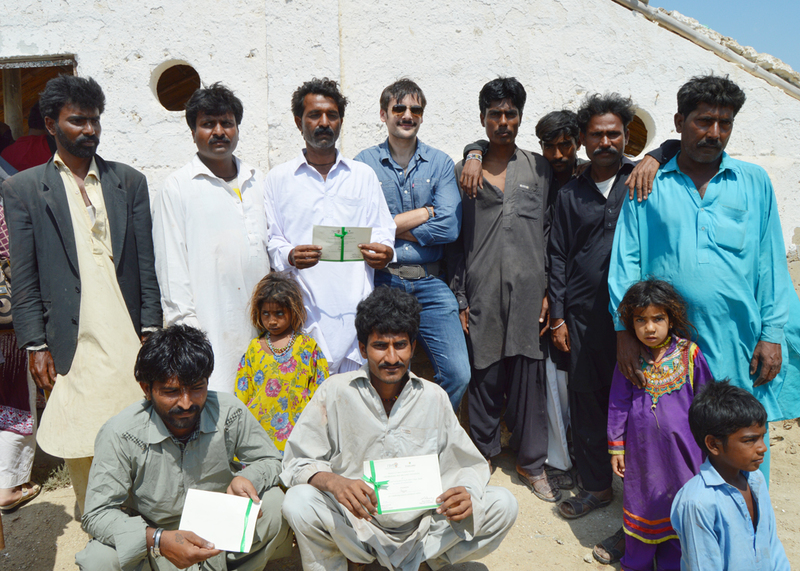 Here I want to relay my experience of my tour around the Makli village and it’s people who had gathered together for this little festival called Ghaaran Jo Melo organized by joint efforts of Starlinks PR & Heritage Foundation, that helps conserve historical built of pakistan and promote cultural diversity for social integration and knowledge. 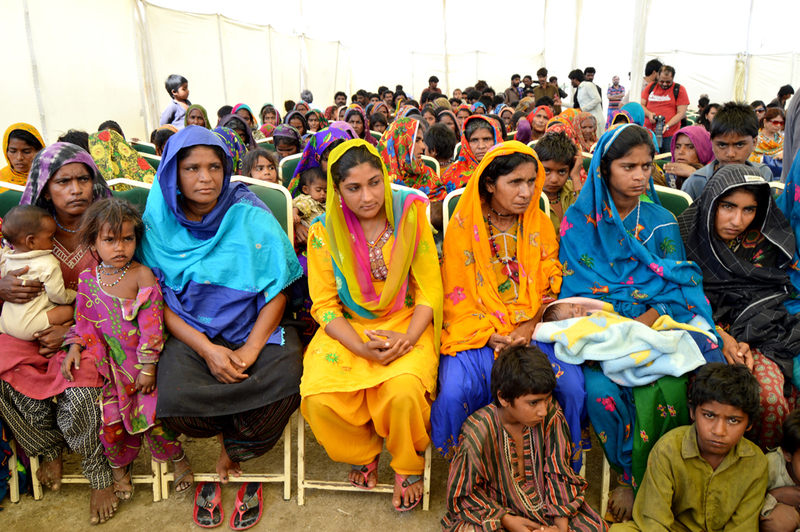 At this festival, the mendicant community was appreciated for their self reliance efforts and some women were awarded for their endeavors to build hand made items to be sold and used personally. Before I talk of the gathering, let me brief you on their lifestyle in a nutshell, this community solely relies on begging to feed themselves and their families and so you can imagine, what state of life would they be living in. Half the public had absolutely no sandals in their feet and walked barefoot in that scorching heat. Negligence to provide these with basic amenities had led to the situation, where most of them don’t know what a toilet looks like or how is it to be used and hence they use open public spaces. Water is scarce or not at all available, and they “clean” their hands in the stagnant water around the area which is extremely polluted, wash their clothes or pots in it as well. The same water is being used for all these activities by all these people, imagine the disease rate here! There was a time when the Indus river used to flow across this part of the city, but then it dried away and the surrounding residents were left with no water facility. 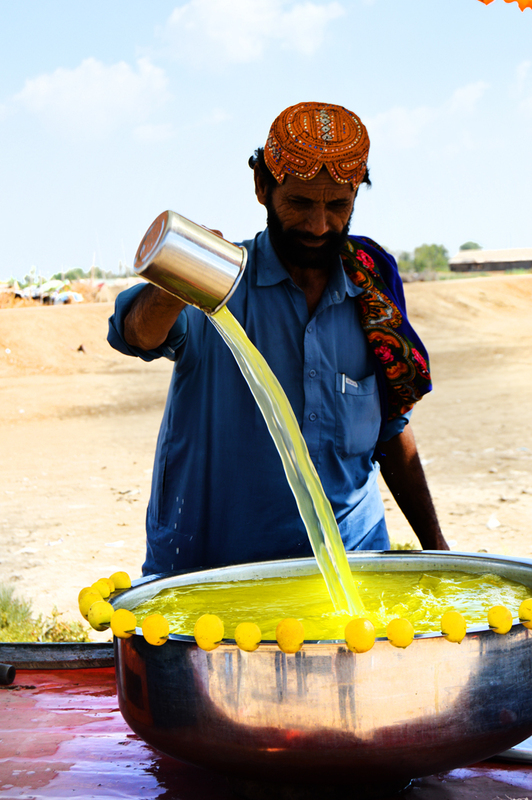 No other means for water pumping were installed here by the governing authorities so to aid the people of water issues. However, in flood seasons, this region gets highly affected and a lot of these homes are carried away with water. It is that flood or rain water that piles up in large ponds and these people use it for their everyday basic needs, which is by no means close to health standards of usability. Life is certainly tough for these people but it’s also sad to see, how they resorted to begging from the tourists and visitors of Makli Graveyard and shrines, instead of learning a skill and making a decent living out of it. I saw some of the women smoking there, which saddened me not because of the fact it was a woman smoking, but that she could have spent that money to get food or something useful for herself and her children, instead of buying cheap drugs and cigarettes to comfort their brains temporarily. How Heritage Foundation comes in here? Well besides conserving the historical built, they also want to preserve our communities and cultures, provide basic humanitarian services for their betterment. 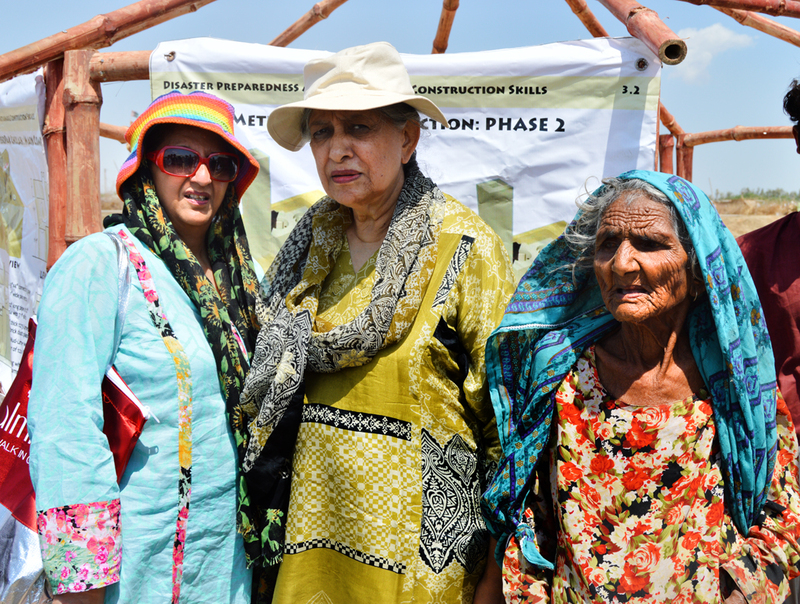 At the festival, Ms. Shanaz Ramzi, CEO starlinks PR, highlighted the foundations efforts to transform the lives of the beggar community of Makli, which is now involved in constructing toilets and chulas as a means of livelihood. She stressed on the need for appreciating the taking-up of such self-reliance initiatives by local, impoverished communities. These self reliance initiatives include the distribution of 50 toilets which are being finished by the household themselves, and the provision of skill training for stone stoves choolas to the local community, where they previously used to cook by using bricks, they would now have proper stoves for cooking. It’s an easy built, which these people can create themselves too and make themselves as self reliant as possible. Now they have built toilets besides every house, with two outlets from where the useful waste will be allowed to pass into the fields for growing crops and other greens. Further efforts are in process to bring their lives to the minimum scale of standard. 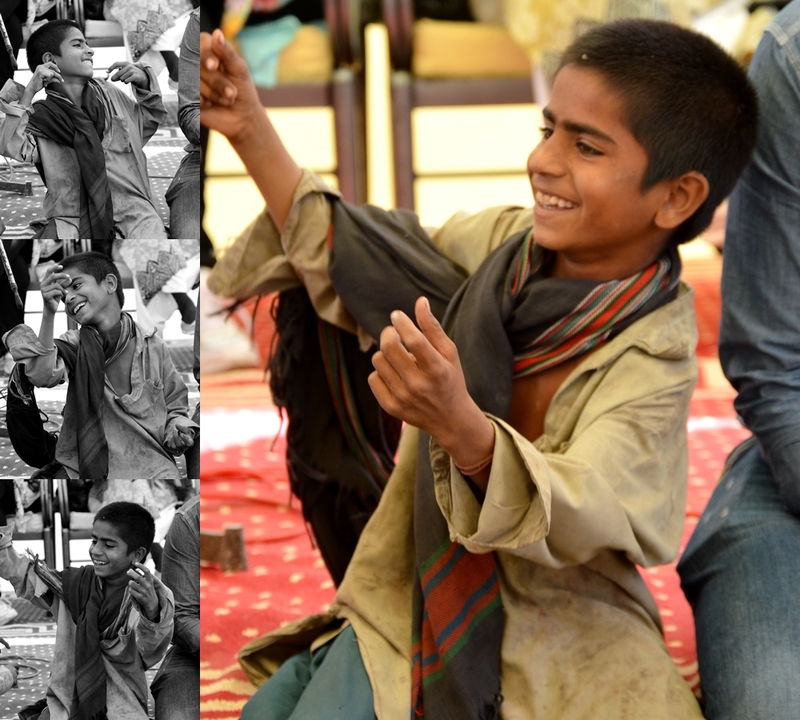 The attendees of the festival were then treated to an endearing performance by local street children. 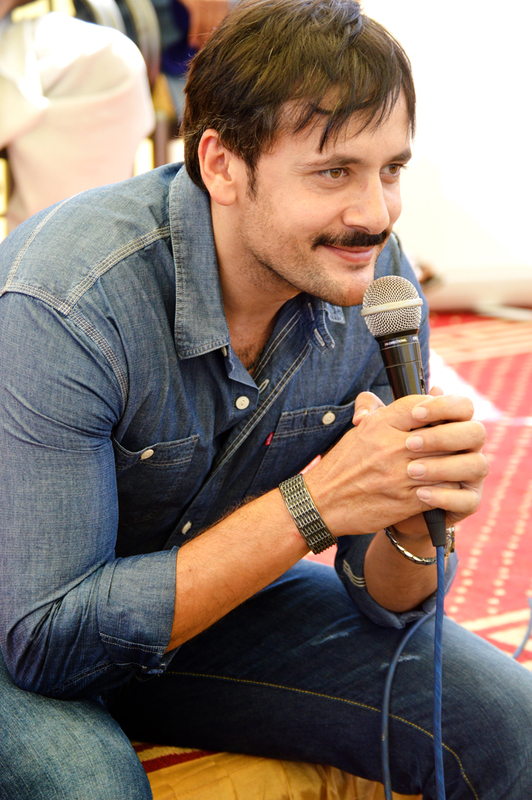 The highlight of the day was a special performance by well-known TV and film star Tipu Sharif, who performed pro bono for the villagers of Makli and surrounding areas. Awards were given to community role models to honour their work towards self-reliance. MrNaeem Shah, Humanitarian Manager of Heritage Foundation, gave the Vote of Thanks. 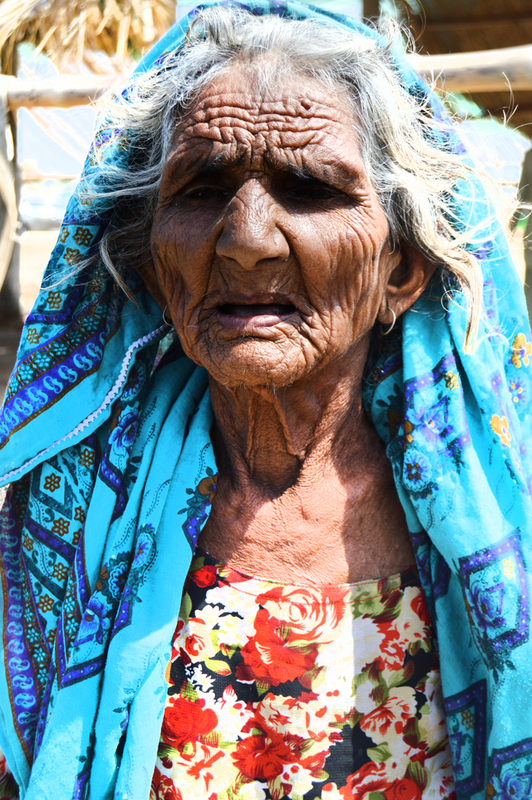 After which the guests were taken around the local village, where CEO Heritage Foundation Yasmeen Lari also announced the gifting of a small adobe to the oldest resident of the village, a hundred year old elderly woman. 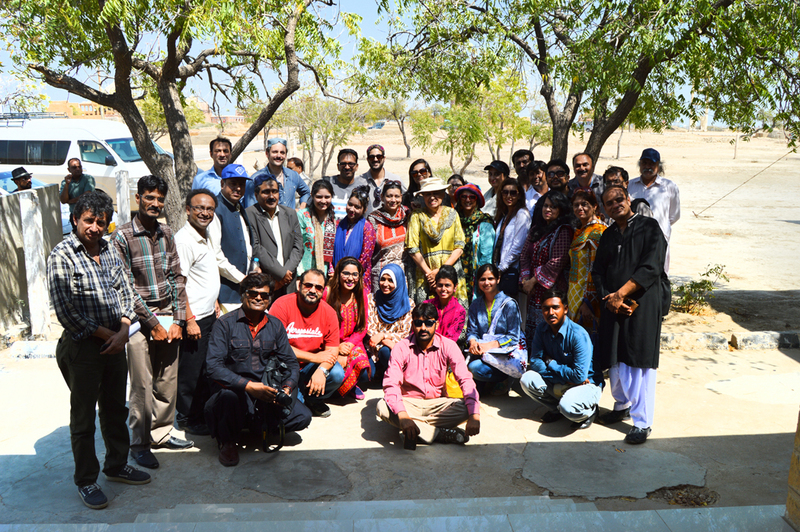 This was followed by a tour of the Makli Necropolis and a lunch session for the guests. Those experience was unique because many people must have visited the graveyard but never would have stopped to see how it’s surround villagers live their life. Watching them struggle with everyday life without a scorn on their face is truly a remarkable memory for me. If it hadn’t been for this festival, I probably wouldn’t be exposed to this reality. Thanks to the organizers for that!